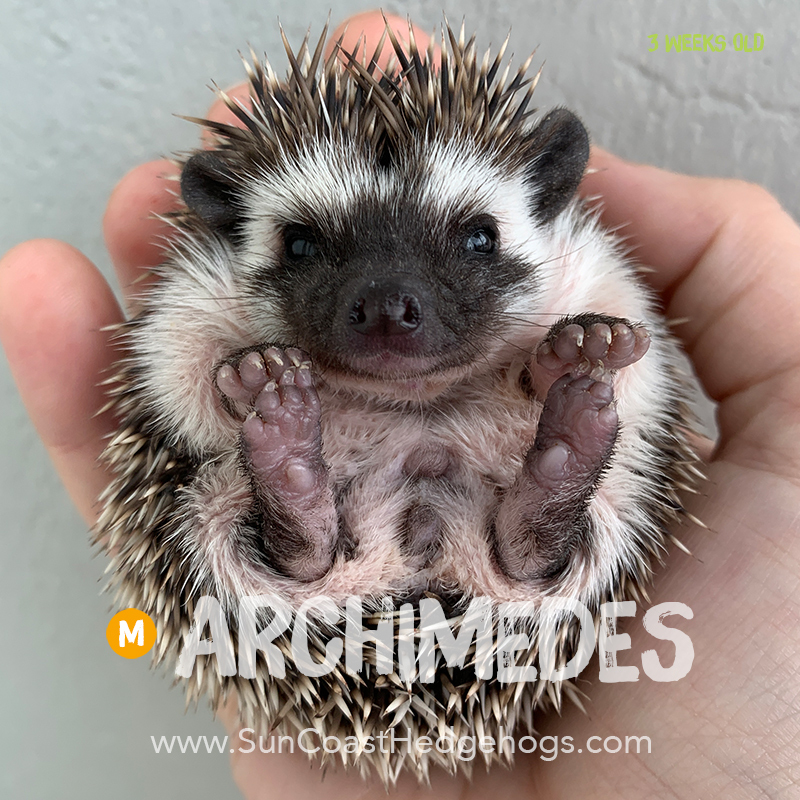 Before you purchase a hedgehog, please note, all purchases are non-refundable please read our Policies Page before making a purchase. 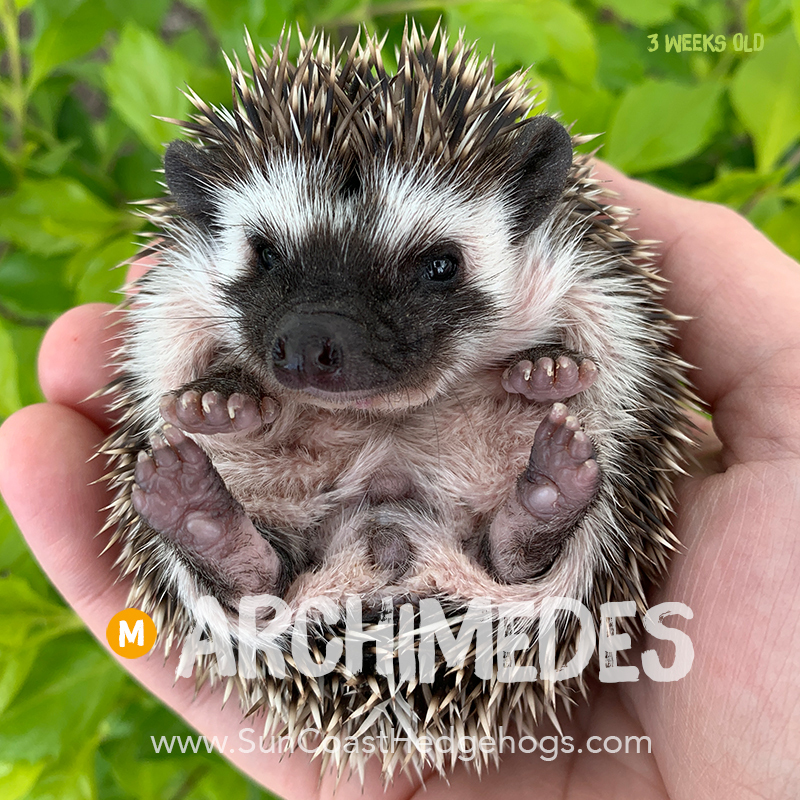 This dapper little hedgie is ready to be someone's special familiar, and like his sister Morgana, Archimedes may snowflake as he gets older! 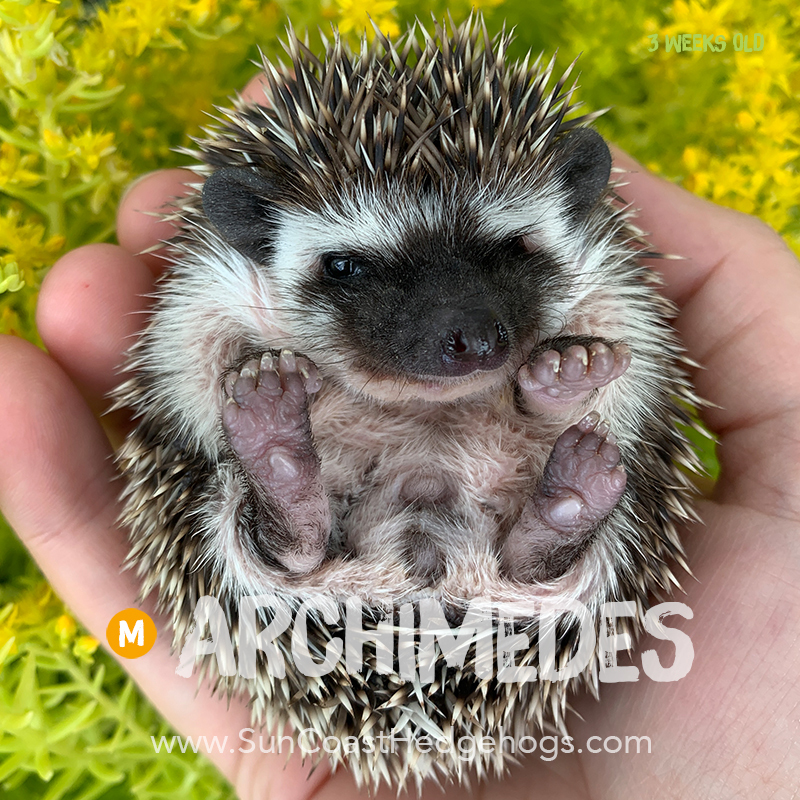 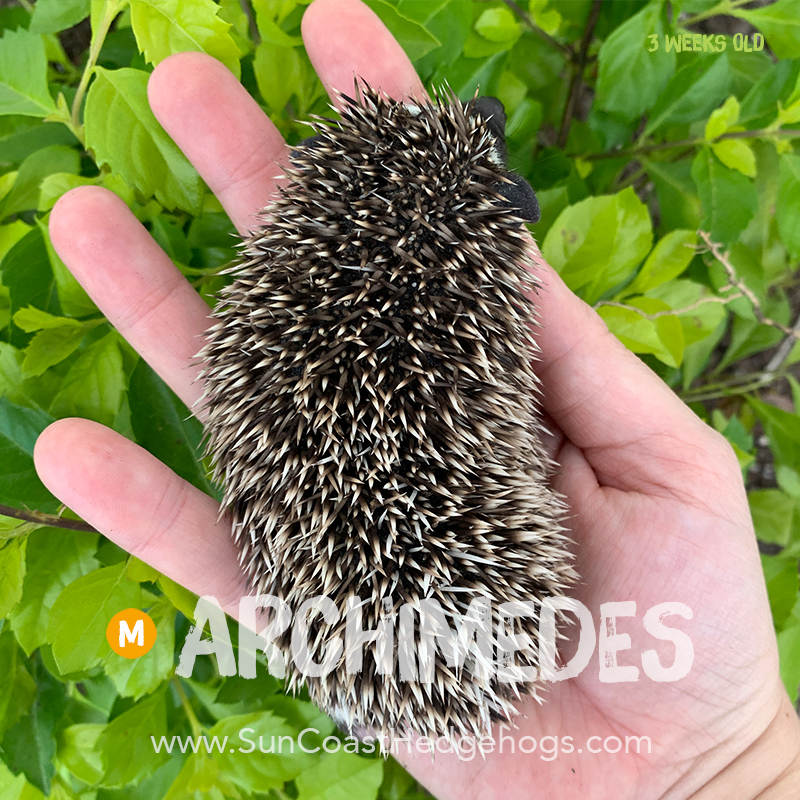 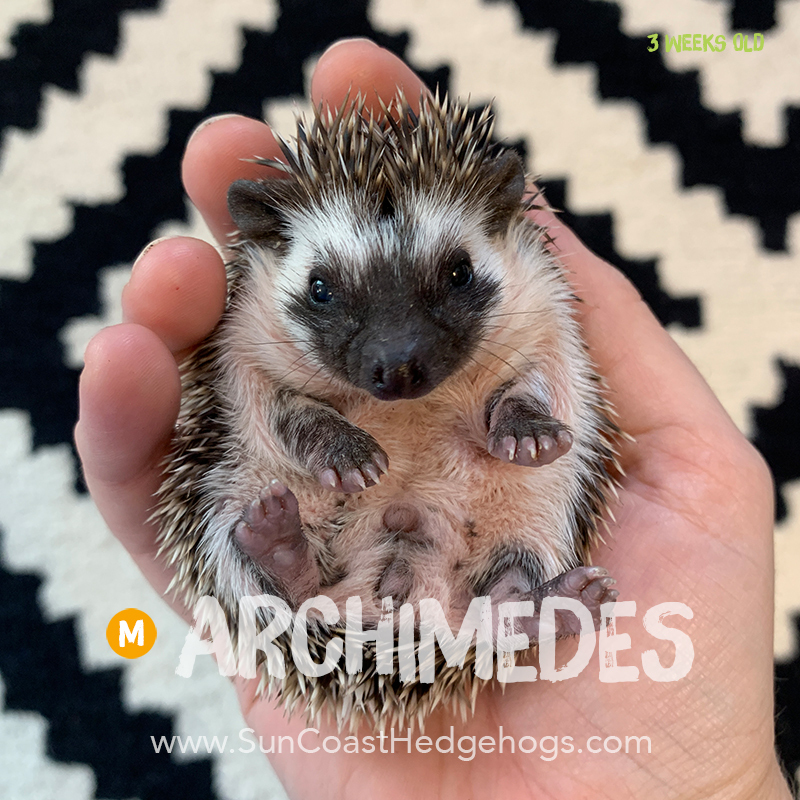 Archimedes is On Hold for Kristen E.
checkout our other hedgehogs or our waiting list options.